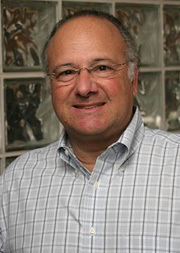 Professor Kessler is co-owner of Kessler Restaurants LLC, a Rochester, NY company specializing in franchised restaurants. Formerly, his company was the largest franchisee in the Friendly's Restaurant chain owning 48 Friendly restaurants as well as 21 Burger King Restaurants employing a compliment of 3000 employees. Kessler has 30 years experience in restaurant ownership, real estate and human resource development. His company today specializes in commercial real estate development. He has also led a number of successful start-up companies and is a member of the Council of Advisors for Gerson Lehrman Group Inc., an international association of academic and industry thought leaders consulting for leading investment professionals worldwide. Kessler is a former member of the board of trustees of the University of Rochester Medical Center and past chair and commissioner of the City of Rochester Civil Service Commission. He is currently a member of the board of directors of Excellus Blue Cross/Shield of Western New York, President of the Rochester Police Foundation, former founding board member of the Young Women’s College Prep Charter School of Rochester and a founding board member of the Rochester Education Foundation. He is also a founding member and Vice President of the Monroe County Sheriff's Foundation and a former member of the Farash Foundation Grants Board. In June, 2018 Dr. Kessler was nominated by Governor Andrew M. Cuomo and confirmed by the New York State Senate for appointment to the New York State Insurance Fund - Board of Commissioners. I mostly enjoy working with students in small groups across the campus in helping them to develop their new business concepts and guiding them through the process of taking the service or product to market. In the classroom my specialty is entrepreneurship with an emphasis on law and franchising and developing new business concepts. My research interests are in the area of antitrust law as it impacts franchising and health care.